We just returned from a trip Up North. I think that’s a Michigan term, but correct me if I’m wrong. Around here, any place that is at least sixty miles north of where you live is considered Up North. So it’s a relative term, too. For people in the city, Up North is not much farther than where I live. I get such a kick out of that. In many ways, Up North is more a state of mind than an actual place. Going Up North means getting away from the daily grind, enjoying the natural beauty of the outdoors, breathing in fresh air as you exhale the stresses of life. Up North is a place of adventure, a place of fun, and a place of rest. For us, Up North was every bit of that. It was also really, really north. We traveled to the Upper Peninsula and spent several nights in towns on Lake Superior, visited the Tahquamenon Falls and several water falls in Munising, and toured the Pictured Rocks along Lake Superior. Then we headed south again (but were still very much Up North) and spent a few nights on Mackinac Island. I love the country town where I live, but traveling north gives me an even greater appreciation for our beautiful state. When telling others where I’m from, I often receive a response of pity. I imagine when they hear the word Michigan they think of auto bail-outs, bankrupt cities, and a mass exodus of people looking for work in more prosperous states. But let not our hard times fool you. Michigan is a truly gorgeous state. If you’ve seen a Pure Michigan television ad, you’ve seen a genuine glimpse into the state I proudly call home. My big girl camera got the workout I mentioned last week so you’ll get many more glimpses of Michigan in the weeks to come. Of course, there are already a few on Instagram. 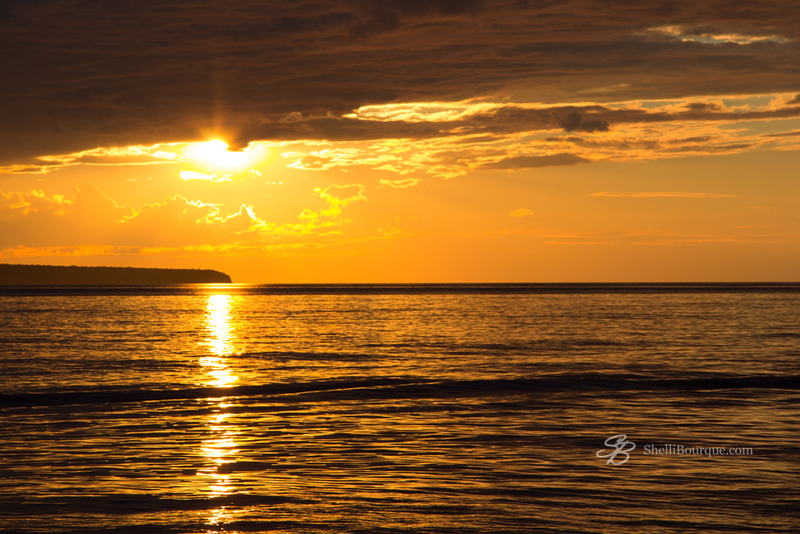 I don’t have any links for you this week, just my best capture of the stunning beauty of a Lake Superior sunset. But I am curious: when you think of rest, is there a place that comes to mind? Mackinac Island is our restful place. Where is yours?